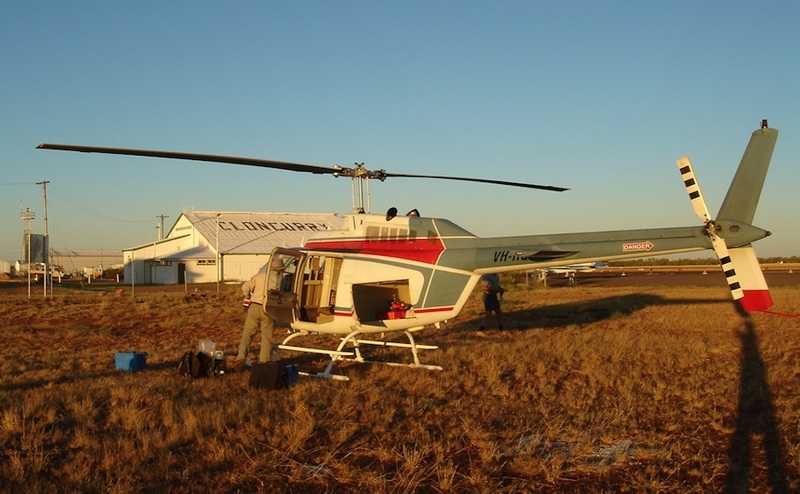 Exploration in the Cloncurry region, photo courtesy of Queensland Mining. The stock was up by a third, or 33.3% in the green as of mid-morning in Australia. (trading was delayed at 11:27 am) The buyer, unlisted Moly Mines Limited, picked up the property in northwestern Queensland for A$53 million, which includes A$45 million in cash and A$8 million in convertible notes. Queensland Mining has been trying to develop the asset for two years and told investors the offer was too attractive to refuse, according to Australia-focused investment website Stockhead. The potential mine has three main deposits – Greenmount, Kuridala and Young Australian – and four exploration permits that are part of an option and joint venture agreement with Teck Australia Pty Ltd. It has a JORC-compliant resource of 29.2 milion tonnes at 0.82% copper, 0.18 grams per tonne gold and 0.03% cobalt. A 2005 prefeasibility study showed potential for annual production of up to 20,000 tonnes of copper cathode over a minelife of 10+ years. Map courtesy of Moly Mines Limited. The Acquisition of the White Range Project provides Moly with 100% ownership of a high-grade copper project, well located around existing copper operations and infrastructure, with strong near-term development potential. In addition, the White Range package of assets continue to show excellent exploration upside, as QMC demonstrated in their most recent announcement reporting assay results received from its recently completed RC drilling program in Young Australian (QMC ASX Announcement 3 October 2017, “Very Significant Drill Intercept of 60 metres @ 1.0% Copper Returned from a New Zone in Young Australian”). 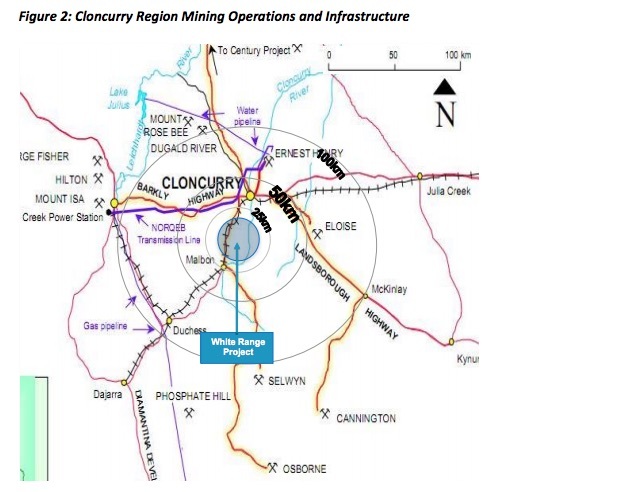 The Cloncurry region is well known to contain significant copper deposits with a number of existing mining operations, namely Glencore’s Mt. Isa copper mine (one of the largest mining operations in Australia) and Ernest Henry copper mine, CuDeco’s Rocklands copper mine and CopperChem’s Great Australian copper mine. Among its successes, Moly Mines progressed the Spinifex Ridge copper-moly project in the Pilbara region of Western Australia to full permitting and a definitive feasibility study in 2008 – before it was put on care and maintenance due to low commodity prices. In 2010 Moly Mines developed the Spinifex Ridge Iron Ore Mine which operated successfully until 2014, producing direct ship ore exported through Port Hedland.